As much as we love our dogs and want them with us at all times, it is also our duty to transport them safely and maintain our own welfare and that of other drivers on the road. Whether you are a new dog owner, or have enjoyed many years of devoted pet ownership, this might be a good time to review the risks associated with driving with dogs in your car or truck. 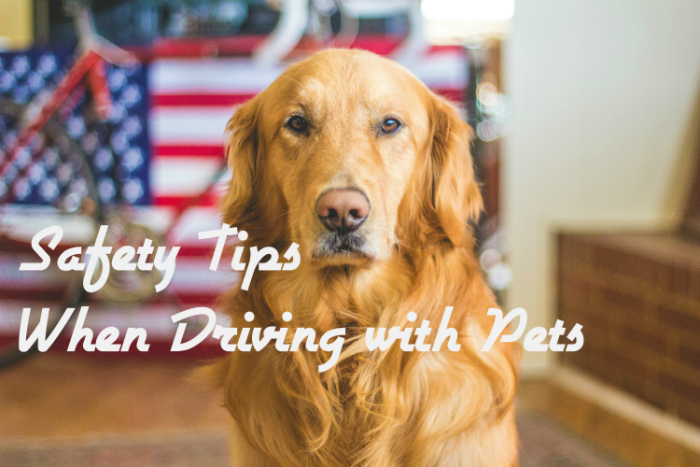 In this article, we have compiled a few safety precautions we recommend when taking your pets along for the ride. Driving with your dog on your lap may look cute but it’s actually a terrible idea. Never allow your pet to ride in the front seat as he can distract your attention, interfere with the steering or block the view. When the driver’s attention is taken out of the road, this may result in an accident. Always keep your dog restrained with a crate, harness or barrier. If you use a crate, make sure it’s secured so it doesn’t slide around the car. A car in motion plus a dog with a full tummy is not a great combination. Make sure to feed your pet at least 3 to 4 hours before the trip. This is especially true if your dog gets car sick. Also, don’t forget to bring your dog’s usual food because a sudden switch may upset his stomach. You have probably watched a few movies where the dog sticks his head out the window and enjoys the fresh air during a road trip. This may be a common scenario in movies but this practice is extremely dangerous. Imagine the injury it might cause your beloved pet when the car comes to a sudden stop or if you happen to get involved in a collision. But even if you have arrived safely to your desired destination, the road debris and airflow can irritate your dog’s eyes, nose and nostrils. Of course, this is beneficial for you and your dog. Give yourself and your pet a chance to relax, drink some water and eat some snacks. If you’re not in a hurry, you can even play with your dog for a few minutes to alleviate boredom and reassure your dog that he is not being ignored.